The Wolfman is one of the Universal Monsters and is derived from the myth of the werewolf—a human with the ability to transform into a wolf-like hybrid. The werewolf is a well-known idea in European folklore and began in the early 15th century. Accusations and persecution of werewolfery were part of the witch-hunt phenomenon that took place during this period. Many stories and depictions about werewolves have occurred over the centuries. 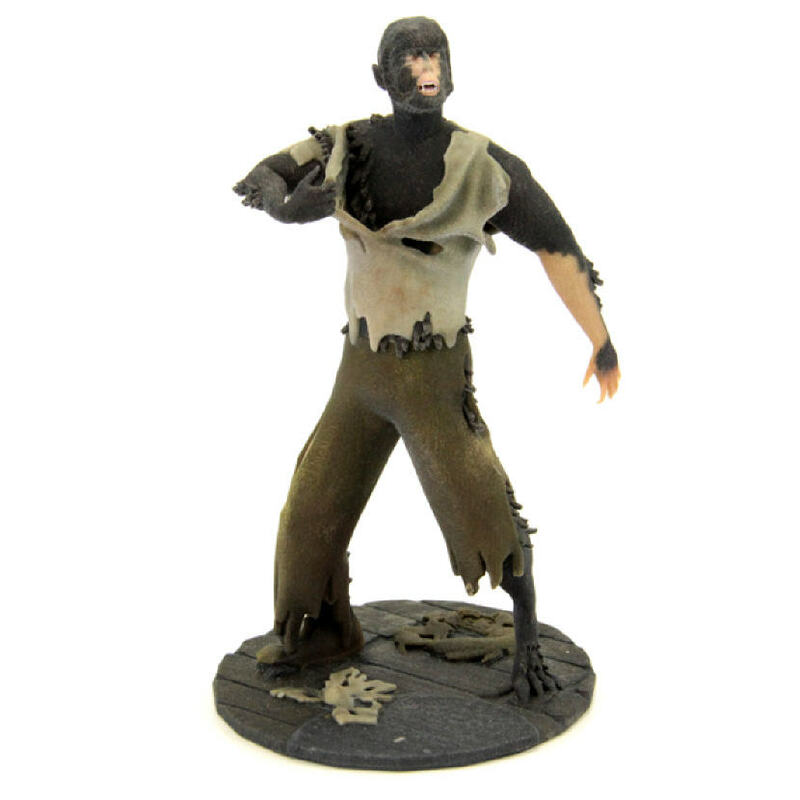 Our 3D-printed Wolfman depicts a werewolf in mid-transformation. Much of his body is covered in hair, his feet and hands have developed claws and he is tearing at his clothes. The model’s detail even shows developing fangs that are visible as the Wolfman howls. The movie “The Wolf Man” was first released in 1941 and was remade in 2010. Hypertrichosis is a real condition that causes abnormal amounts of hair all over the body. During the medieval times in Europe, it was believed that wolfsbane was a remedy for werewolves. Wolfsbane is a flowering plant that is extremely poisonous. Often this cure would be fatal to the patient.